We Install living walls in phoenix ! This is our most recent living wall installation using Woolly Pocket's Living Wall Planter 2, located at the Brokery, in central phoenix. This installation consists of 48 living wall planters and approximately 96 six inch tropical indoor plants. The new Living Wall Planter 2 is the culmination of Woolly Pockets many years of experience developing living wall planters. These planters are made from recycled milk jugs and are made in California. 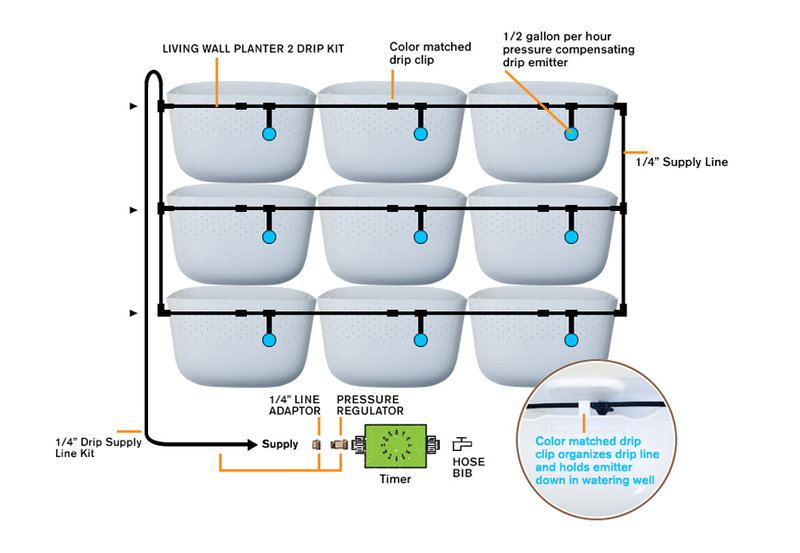 They are ingenious incorporating soil airation, self-watering, easy on & off installation for plant maintenance, and the ability to incorporate a drip system for large installations. Automatic watering is an option with all living wall installations indoor and outdoors. Ideal for larger applications where hand watering is not advantageous and with outdoor living walls where frequent watering is necessary.